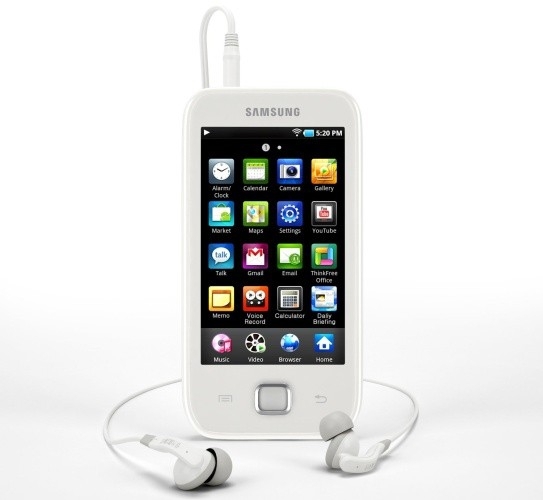 "Last week, it was revealed that Seoul, South Korea-based Samsung Electronics had developed an Android-powered MP3 player called Samsung Galaxy Player to take on the iPod Touch by Apple Inc. and the Zune HD by Microsoft Corp. The company was expected to revealed the device at the 2011 Consumer Electronics Show [CES] in Las Vegas, Nevada. However, Amazon.com has put the device up for pre-sale on its U.K. website." Although the dedicated MP3 player market is shrinking - Apple is selling less iPods now than a year ago I believe - it's still a vital market with a lot of money attached to it. Riding on the success of their Galaxy Tab, which is widely regarded as the best Android tablet on the market today, Samsung is unveiling the Galaxy Player this week at CES. Amazon UK has published the specs early though; it will have a 3.2 inch display, be available in 8 GB and 16 GB capacities, support a wide variety of audio and video codecs (MP3, AAC, WAV, FLAC, WMA, OGG, AMR, MPEG4, H.264, H.263, WMV, DivX, and Xvid), and perhaps most importantly will have fully sanctioned support for the Android Marketplace - and be running Android 2.2 (Froyo). My reaction? Media players need decently large screens - I already feel like the 3.5" screen on my iPod Touch is too small, so 3.2 inches is going in the wrong direction. For compatibility with Android apps, the resolution is presumably going to be 800 x 480, so I'd have preferred to see a 4" or 4.3" screen in there.